There we were last weekend, rejoicing in the glorious, windless, clement weather when instead we should have been deeply concerned. Why? Because that glorious weather is poisoning us. According to Airparif, the pollution watchdog organization here, a third of the country is on maximum pollution alert caused by, among other factors, unseasonably warm weather. The average temperature this week is 19°C (66°F). 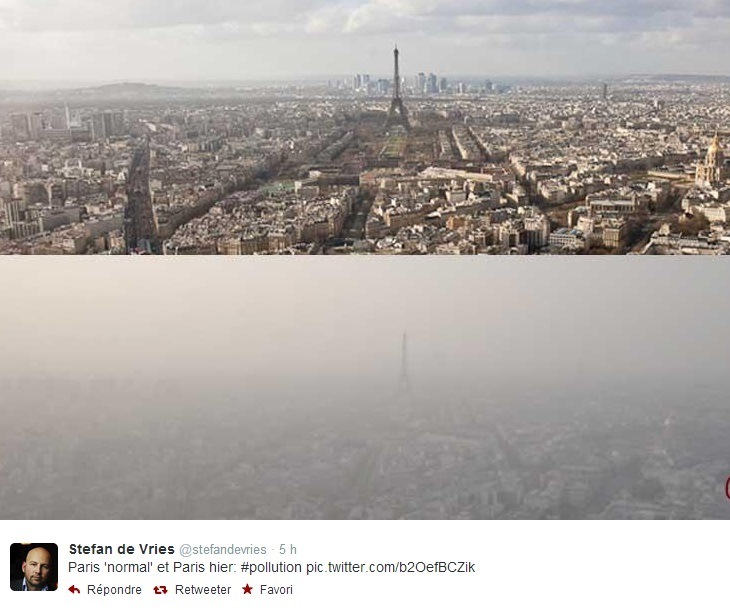 On March 12, 2013 the temperature in Paris was -1°C. 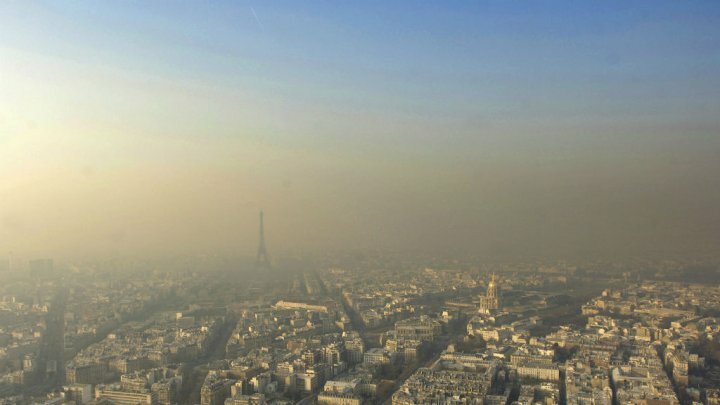 A lack of wind, cold nights and warm days have increased dangerously small particles from traffic, factories and heating systems in the region around Paris, northern and eastern France, Brittany, the Loire and Burgundy. Airparif takes readings of air quality from a hot-air balloon that rises 300 metres above each city. 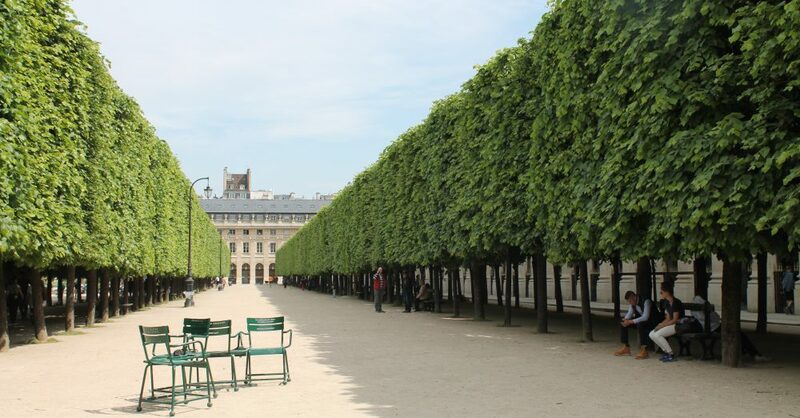 In an extraordinary public health emergency measure, all public transportation in Paris and its surrounding suburbs will be free for 3 days – starting tomorrow morning (Friday March 14th) to Sunday night. Velib’ rental bikes and electric rent-a-car Autolib’ will also be free. Parking tickets will not be issued over the weekend and free residential car parking will be enforced. 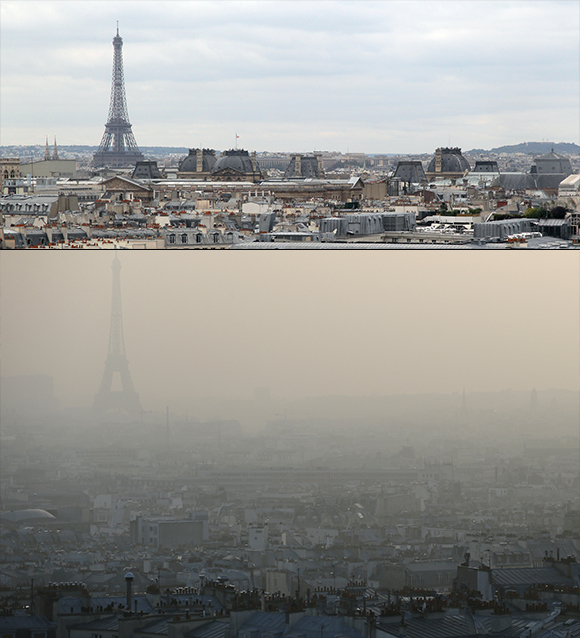 All this to encourage Parisians to leave their cars at home over a 3-day period and walk, cycle or take public transport instead. Health authorities have issued warnings for small children, seniors, asthmatics and people with other respiratory illnesses to remain indoors. Intense sporting activities are also discouraged. The dangerous levels of fine particles and nitrogen dioxide also cause eye irritations. On Monday, I had to go to an ophthalmologist to get a prescription for an eye wash for my burning, itching eyes. This entry was posted in General and tagged air pollution France, air pollution Paris, Paris pollution by julesparis2013. Bookmark the permalink. Hi Jacqui ! Good to hear from you. The climate will change radically tomorrow: rain and cold. For the past 2 weeks I’ve been suffering from the worst hay fever!